Took the Canadian eReading company from an unknown to third in the eReader category. 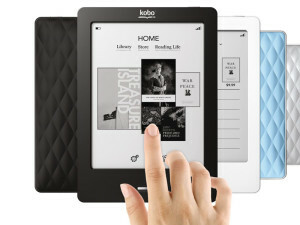 Supported the company on the tech, consumer and business media front from initial Kobo Touch launch at BEA through reader and technology debuts, global expansion and acquisition by Japanese online giant Rakuten. Day-to-day contact with Kobo executives. Developed and refined messaging, drafted news and press materials, booked media tours, provided ongoing proactive outreach to build thought leadership, handled fast-turn briefings for strategic coverage spikes, secured reviews and dealt effectively with blogger issues.